Sit back and relax while you’re transferred in a private car to your resort. This afternoon meet your Travel Director and join them for a cocktail reception and dinner overlooking the stunning crystal clear water of the Coral Sea. Dine on award winning modern Australian cuisine using only the freshest local produce at this ultimate tropical beachfront restaurant. Today will be one to remember. Join your Aboriginal guide on an exclusive journey to discover the Daintree and gain insight into the deep relationship the local Kuku Yulanji people have with their land. Learn about cultural traditions, bush foods and traditional medicine. Experience traditional hunting techniques and have a go at spear throwing and if you are lucky, catch a mud crab. 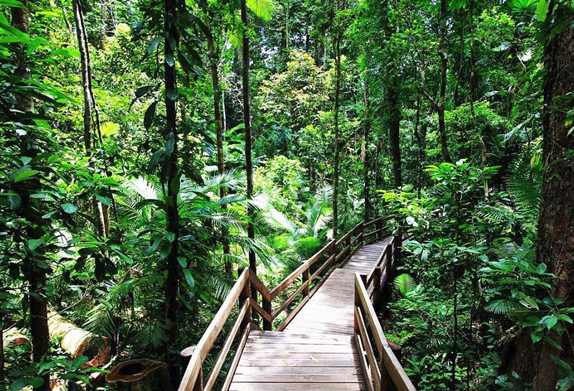 Enjoy a lunch in a tranquil and relaxing rainforest setting in the Daintree. This evening relax and dine at your leisure. 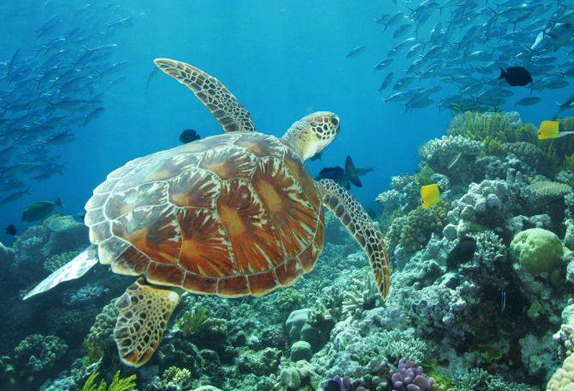 Discover the magic of the Great Barrier Reef on a cruise that will take you to three secluded outer reef dive sights. 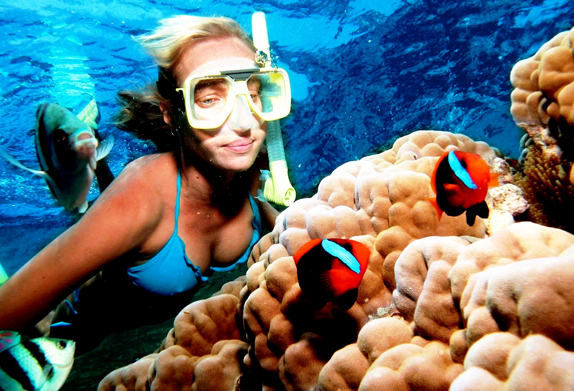 Take to the water and discover spectacular coral formations and a world of unique marine creatures. 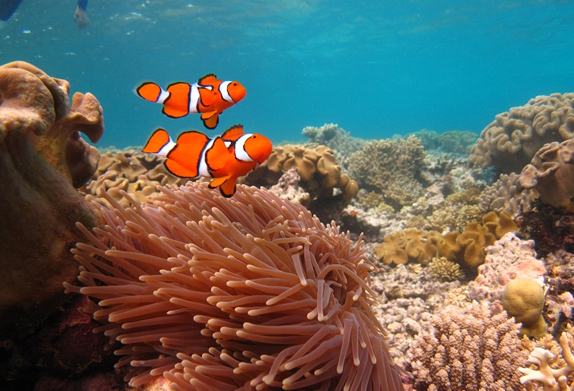 Snorkel around underwater gardens or maybe take the opportunity to take a dive or relax while you bask in the sun on deck. Enjoy a delicious tropical lunch on board the boat in air conditioned comfort before returning to Palm Cove. 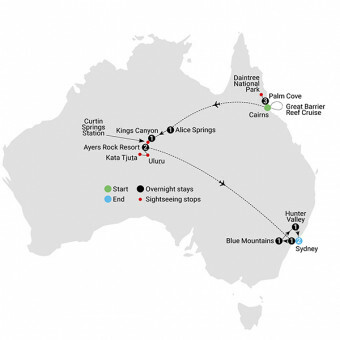 Today fly from Cairns to Alice Springs. This afternoon you’ll take a tour of Alice Springs to discover what life is like in an isolated Australian town. We’ll visit School of the Air and the Royal Flying Doctor Service, that provides a lifeline of essential medical support for people living in remote Australian communities. Nothing could be more memorable than a bit of bush tucker in the outback so this evening join your host Bob for a Be My Guest traditional open-air dinner cooked in a bush camp oven as the glittering Milky Way lights up the big Aussie sky. First up you’ll travel to the Henbury Meteorite Conservation Reserve, formed when a meteor hit the earth’s surface 4,700 years ago. Though most of the craters have eroded and become lined with plant life, their footprints create an interesting diversion from the surrounding flat Australian desert landscape. Perfect for observing the changing colors of the landscape, this afternoon enjoy a relaxed walk along the Creek Bed of Kings Canyon. Rise with the birds and embark on the exhilarating 6km Rim Walk at Kings Canyon past the domes of the Lost City and Cotterills Lookout, where you’ll peer over the towering sandstone cliffs into the gorge below. Next stop is Curtin Springs Station, where you’ll learn about the legacy of the Severin family and their wrangling heritage. Join a workshop at Curtin Springs Paper factory, before kicking back in true Aussie style for a delicious barbecue lunch. 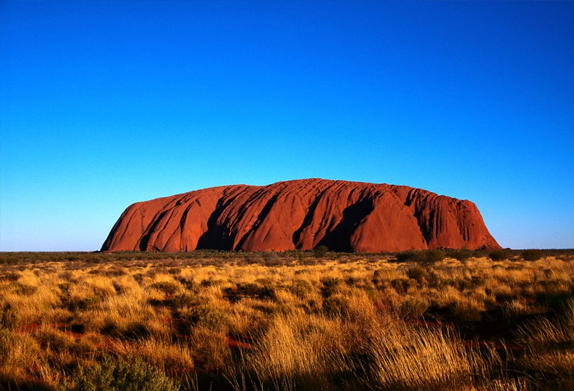 This afternoon, venture to the spiritual midst of Uluru in time to enjoy sparkling wine at a spectacular sunset. Venture to the Uluru – Kata Tjuta Cultural Centre where you’ll learn about the strong connection shared over millennia between the Anangu people and this ancient land. The mystical domes of Kata Tjuta are your next stop. 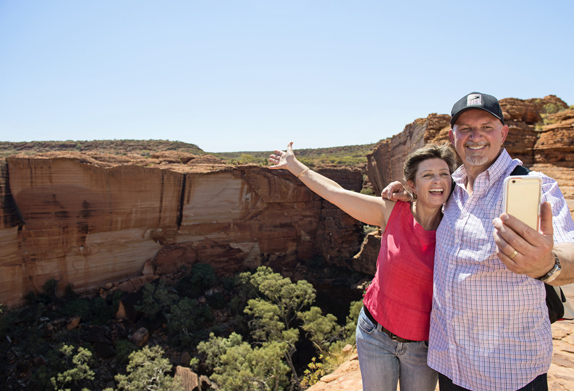 Join your Travel Director for a guided walk deep through the whistling Walpa Gorge, tracing the cultural significance of Kata Tjuta’s ancient rocky domes. 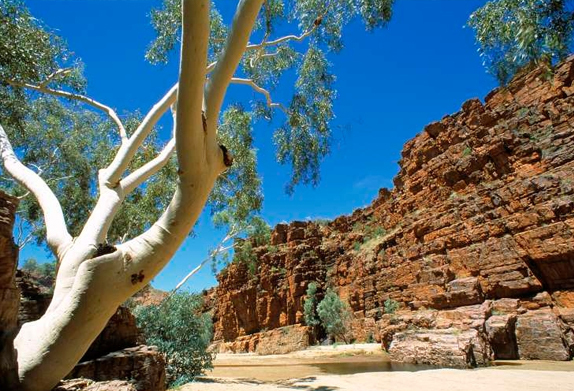 Spend the rest of the afternoon at the base of Uluru’s red slopes, embracing the timeless stories of the Anangu whose rock art you’ll have an opportunity to see before visiting Mutitjulu Waterhole, home to the Anangu’s wanampi, an ancestral water snake. Afterwards, meet the magical stars of the Southern Hemisphere this evening at the sensational Sounds of Silence Highlight Dinner. Witness a mesmerizing sunrise over Uluru – perfectly viewed from the dune viewing area. Afterwards, kick back and enjoy laidback Aussie vibes before your flight to Sydney. Consider a scenic helicopter flight over Uluru and Kata Tjuta, learn the art of Aboriginal dot painting or simply relax with a good book. This afternoon, soulful Uluru gives way to cosmopolitan Sydney. 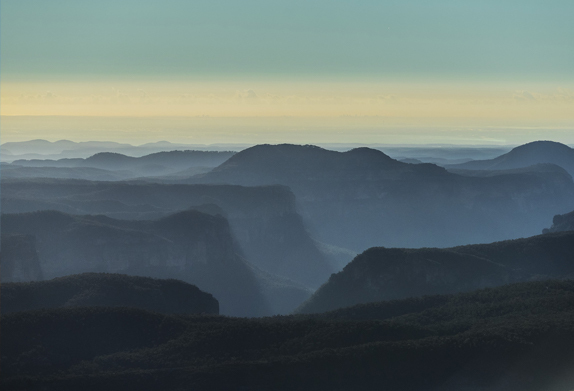 Head off on a day of discovery to the World Heritage listed Blue Mountains National Park. Breathe the pristine air and discover the Three Sisters at Echo Point and Govett’s Leap Lookout to see spectacular Bridal Veil Falls. Then with your Travel Director you delve deeper, traveling off the well-worn track to secluded lookouts and peaceful short bushwalks where we may be the only ones around. You’ll be rewarded with views across the valleys as far as the eye can see and picture perfect memories to take away. This afternoon arrive at your hotel and after taking the time to relax, enjoy a delicious meal featuring produce sourced from local Blue Mountains suppliers. 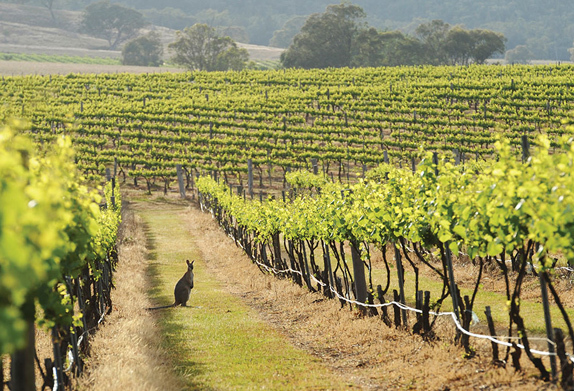 Travel to the wine region of the Hunter Valley for a day of good food, great wine and beautiful scenery. Enjoy private wine tastings at boutique vineyards and sit down to an exceptional lunch before spending the afternoon doing as you wish at your hotel. You may like to sit in your private courtyard with a good book and bottle of wine. Tonight enjoy dinner at the resort. Get ready for a day of sailing on Sydney Harbour. Prime your sea legs and join your sailing crew on board a luxury yacht. 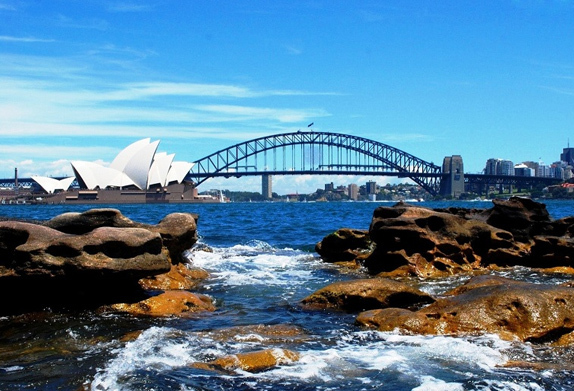 You can take the helm, work the grinders or simply sit back and relax as you sail past the harbor’s iconic sights like the Sydney Opera House, Harbor Bridge, the Rocks district and small secluded coves surrounded by multimillion dollar waterfront homes. It’s a day you’ll remember for years to come. This evening is free for you to explore and discover Sydney’s incredible restaurants. A day of sightseeing around the city awaits! Explore the famous Eastern Suburbs, taking a stroll along the coastal walk for incredible views over the Pacific Ocean and wild coastal cliffs. No trip to Sydney would be complete without a visit to the iconic Sydney Opera House for a VIP guided tour to learn about this architectural marvel. Afterwards, celebrate at a Farewell Dinner at chef Peter Gilmore’s iconic Bennelong Restaurant under the sails of the Opera House. Your Inspiring Journey concludes this morning when you’ll be transferred by private car to Sydney Airport. All prices are USD$/person (including all Taxes). Subject to availability and seasonality. Other Conditions Apply (see Terms and Conditions). Any flights referred to in the itinerary are not included in the land content price. We will include the price of all flights in your custom quote.